Over 40% of Norway’s new cars were a hybrid, electric or hydrogen fuel cell models last year, with plug-ins set to overtake petrol and diesel volumes during 2017. Norwegian consumers appear to be swapping diesel vehicles for plug-in hybrids. Figures from Norway’s Opplysningsrådet for Veitrafikken (OFV) show 62,167 electrified vehicles were registered in the country last year, that’s a 40.2% share of the 154,603 total passenger car market, and a 39.6% uplift on 2015. Plug-in vehicles continued to grow, recording a 32.9% increase on the 33,766 registered in 2015 to reach 44,885 units in 2016. Almost a third of Norway’s new car market (29.0%) is now mains-rechargeable. The data suggests this is at the expense of diesel vehicles. Non-hybrid diesel cars took a 30.8% share of the total market in 2016 (47,617 units), which is a 13,862-unit drop on 2015. Non-hybrid petrol volumes were stable, accounting for 29.0% of the market, or 44,834 units. By comparison, 20,663 plug-in hybrids (PHEVs) were registered in Norway in 2016, the 12,681-unit uplift almost matching the decline in diesel volumes during the same period. The weight-related tax which had made PHEVs less attractive was removed in 2013, and their sales share has grown steadily since. 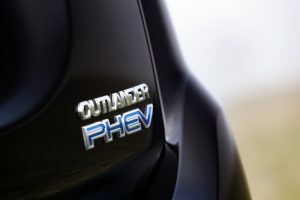 However, the popularity of PHEVs might also be curbing demand for battery-electric vehicles (BEVs). Norwegian motorists registered 24,245 BEVs during 2016, with volumes declining 6.0% (1,543 units) year on year, while hydrogen fuel cell vehicles accounted for 23 units in 2016; still a niche, though larger than the 4 sold in 2015.